Are you a job seeker in the UAE?. 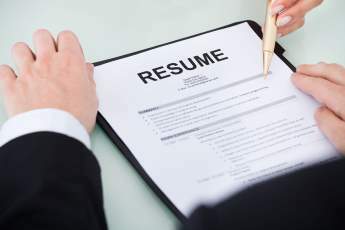 The quality of your CV is the very first feature that UAE employers will judge you on. It is important than ever to make a winning first impression in this crowded UAE job market. Get a stand out CV with our professional CV writing service today. Your resume and cover letter must sell you as the best candidate for whatever position you are applying for in UAE. Our professional CV writers will analyze your strengths, skills, education and work experiences to create an outstanding CV and cover letter that will land you a dream job. Our team is happy to work from an existing resume, or to create a new CV from scratch. Effective resumes rely on a combination of excellent content, strong branding and impactful design and all of which are provided as part of our packages. Our mission is straight-forward and simple, designed to remove the strain and make room for you to focus on what really matters: getting noticed and getting hired quickly. We welcome clients of all industries and career levels. We have helped professionals from all sectors and have specialized in competitive areas like advertising, marketing, creative, fashion and beauty, food services, graphic and web design, technology, start ups, sales and marketing, education, media, healthcare, consulting etc. By taking advantage of our CV writing service, you will increase your chances of advancing your career and getting new employment in the UAE. You need more than a resume to stand out from the tough competition in UAE job market when looking for a job. We’ll ensure you have a strong personal brand and make a powerful first impression on prospective employers. CV writing is a skill that often needs more mastering than the writer thinks. Whether you’ve got years of experience or are newly joining the workforce, your chance of landing an interview is much more likely if you have a killer resume to show off your education, skills and experience. After all, a resume is often the very first point of contact between you and your next potential employer. It’s the first impression you get to make, and with a well-written professional resume, it could be one of many more to come. Your CV is your career marketing and communications tool, and its aim is to grab the attention of a prospective employer so that you get invited to interview for the position. Remember it’s your career; you need the best!.